International Journal of Cell Science is a peer-reviewed, open access journal that publishes original research articles as well as review articles in all areas of Bioscience and Medical Sciences. Original research articles in areas including molecular biology, biochemistry, cancer research, cell biology, developmental biology, genetics, immunology, microbiology, neurobiology, plant biology, structural biology and virology. Submitted articles are reviewed rapidly for both technical quality and general interest, and, if accepted, are published within five weeks. The journal features topical mini-review and review articles in which noted scientists discuss current progress in all areas of the life sciences. Each manuscript submission should be accompanied by an optional covering letter. State the objectives of the work and provide an adequate and succinct background. Results should be clear and concise and can be divided into subheadings. This should explore the significance of the results of the work, not repeat them. A combined Results and Discussion section is often appropriate or better separated. Extensive citations and discussion of published literature is welcome but not necessary. A short Conclusions section is to be presented and should be divided into specific points. Tables must be numbered in order of appearance and must have a descriptive title and if numerical measurements are given, the units should be included in the column heading. It is the duty of authors to ensure accuracy of the reference. The references should be cited consecutively by numbers in square brackets and following numerical order. Journal abbreviations should follow Index Medicus style. All references should be cited within the text. Human experiments may be performed only in accordance with the ethical standards provided by the responsible committee of the institution or with Declaration. Animal experiments should follow the instructions for the care and use animal in experiment provided by the institution. Works that do not follow either the national or international standard will not be accepted for publication. Here authors are charged the APC, thereby paying for their readers to have free access of their published papers. This means their paper will be made freely available online immediately upon publication. You can pay APC charges using online with a credit card, or request an invoice by email. Papers should be of a length appropriate for the amount of information they contain. Failure to restrict the length of manuscripts, especially Introduction and Discussion sections, can negatively influence the reviewers’ and the editor’s decisions. Manuscripts should be written using clear and concise English, with English standard spelling and conventions. Non-English speaking authors are advised to enlist the assistance of a native English speaker, familiar with biomedical terminology. The editors reserve the right to return without review manuscripts that can not be adequately assessed due to a poor standard of English. For Biochemical and Bacterial terminology follow the International Union of Pure and Applied Chemistry (IUPAC) and International Union of Biochemistry and Molecular Biology (IUBMB) recommendations Genotypes must be italicized; phenotypes should not. Units of measurement should be in Systéme International (SI) units and those recommended by the IUPAC should be used wherever possible. Standard units of measurements and chemical symbols of elements may be used without definition in the body of the paper. Abbreviations should be given in brackets after their first mention in the text, and used thereafter. For centrifugation rates give g values rather than rpm, as this will vary according to rotor diameter. Full-length papers are in general submitted to a minimum of two referees for peer review. The comments or suggestions of the referees together with the decision of editor will be sent to the author(s) for revision. When submitting a revised manuscript, the author(s) should reply to the comments of the referees. The revised manuscript together with the comments should be returned in duplicate within two weeks. Cellmolecules ensures that a high standard of ethics are observed to maintain high-quality scientific publications, public trust in scientific findings, and that people receive credit for their ideas and innovations. Authors are strictly advised to avoid plagiarism, falsification of images or data and duplication of submissions. Authors found to be involved in these and other malpractices will be sanctioned. 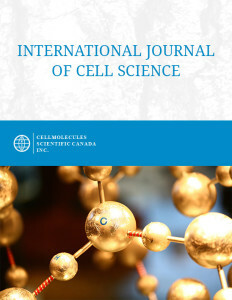 All the journals published by Cellmolecules are original material, i.e., material that has neither been published elsewhere, nor is under review elsewhere. Cellmolecules will use software to detect instances of overlapping and similar text in submitted manuscripts and will sanction offenders accordingly.